Iberian goose liver, sweet wine, salt and pepper. No additives. Minimum 1 year after delivery. This liver pâté (foie gras) is the result of an innovative process. The nearly extinct Iberian geese are fattened without resorting to force feeding and raised according to European legislation on animal well-being. The animals live outdoors in autumn and winter, which is their natural time to build up fat reserves for migration. When they are slaughtered their livers are much larger and contain more fat, making them more flavourful and less bitter. The woodlands in Extremadura where the geese are raised are a source of high-quality food: mainly figs, legumes, acorns and olives. Their diet is further enriched with natural cereals planted on Sousa's land. The liver is removed and seasoned with salt and pepper, cooked in a double boiler, cut into two or three pieces (a liver weighs about 600 grams) and bottled without pressing. This product was awarded the 2006 Coup de Coeur award for innovation by the prestigious Paris International Food Show (SIAL) in France. "I've tasted the best liver pâté of my life. Iberian geese raised on the open range without force feeding. The production is very limited (around 2000 geese per year) because 50,000 m2 of pastureland are needed for every 100 geese. Keep in the refrigerator after opening, never more than three days. The jar ships in a cardboard carton with protective packing. Once I tasted this award winning fois gras I knew I would never buy any other. The care taken is evident in the subtle herb and pepper flavours, the velvet texture, the balance....perfection. The fact that the geese are treated ethically is the cherry on top. Why would anyone else raise geese for this delicacy any other way? Those on here who say differently, I can only assume you must be the supposed competition, or someone with a grudge, because I cannot believe it possible that anyone trying this fois gras could not agree. It's simply that amazing. Quite a divide in opinion. Could it be that this product disagrees with the Gallic palette, or perhaps with Gallic pride? My opinion is the product is one of the better tasting though not one of the better appearing foie gras products on the market. It is foie gras as nature intended, fattened livers from geese who naturally gorge prior autumnal migrations. I hope more producers emulate Sousa's techniques. To begin with, someone here insisted that these geese live on acorns. He's obviously confusing these geese with Iberco pigs! These geese live on the seeds of wild plants (including lupin, which makes the livers yellow) on the 30-acre farm. I was dubious that natural fois gras could taste as good as "the real stuff" (er, unnatural) but I was floored when I tasted this in Seville. I was expecting it to be dense and rubbery but it was as light as air and melted in my mouth like... like fois gras! But what made it even better than foie gras was that I could actually taste the herbaciousness of the plants that must have been in the seeds. Everyone who was with me agreed; it was sort of an aftertaste; peppery and sweet. It brought foie gras to a whole new dimension. I just hope other farms will follow suit. 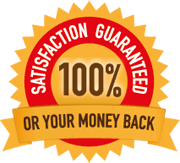 It's really so obvious... just as you can taste the difference in the flesh of poultry raised with foods that are natural to them in a free range fashion, you can taste the difference in the livers as well. This product is a fake one. It tastes horrible. The colour is rather dark and cannot be compared with a proper foie gras. I investigate a bit after tasting it and i found that the owner says that he feeds the geese with acorns, that actually it is impossible because it would damage the geese digestive system. A big lie, this guy should be in jail. La Patería de Sousa is located in the town of Fuente de Cantos in Extremadura province. 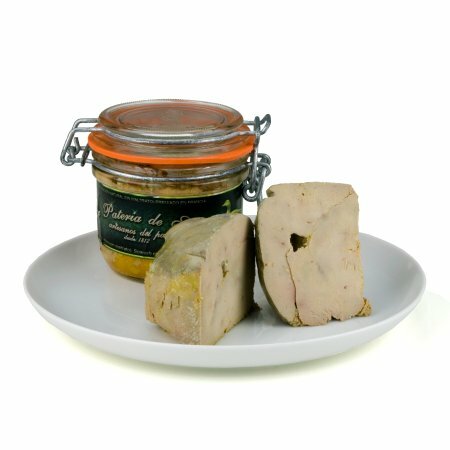 They became internationally known after receiving the Coup de Coeur award for innovation at the 2006 Paris International Food Show (SIAL) in France with their liver pâté from Iberian geese raised on the open range in animal-friendly conditions. Since then, Sousa's "ethical" liver pâté has found a place on the international gourmet scene. Today it is a delicacy hard to find because it is made in small amounts. The geese and pigs used are raised according to European legislation on animal well-being, living on the open range eating acorns, figs, wild plants and flowers, where they breed and the goslings and suckling pigs are raised. The traditional method, popularised by the French, is based on force feeding the animals for 18 to 20 days before slaughter to make the liver as big and fatty as possible. Several scientific committees consider this a practice harmful for animal well-being and it has been banned in some countries. Marketing of liver pâté has even been banned in some places. The Sousa family, of Danish origin, has made their pork- and goose-liver pâtés using artisanal methods since 1812. Pork-liver pâtés are made with the livers of Iberian pigs with the Extremadura Designation of Origin, and goose-liver pâtés come from native Iberian geese.